Well I have not been blogging a lot over the last couple of months. I have the final installment of my little darlings chest today. This collection is my all time favorite collection and I thoroughly enjoyed making this project. If you have used this collection please tell what you made and share a photo. I made a shadow box style lid and filled it with embellishments that match Little darlings. I also used the collection as well to create some of the embellishments. The album inside was made with the graphic 45 tag staples, the small size. I made individual tags, one for each of my children to display their newborn photos. 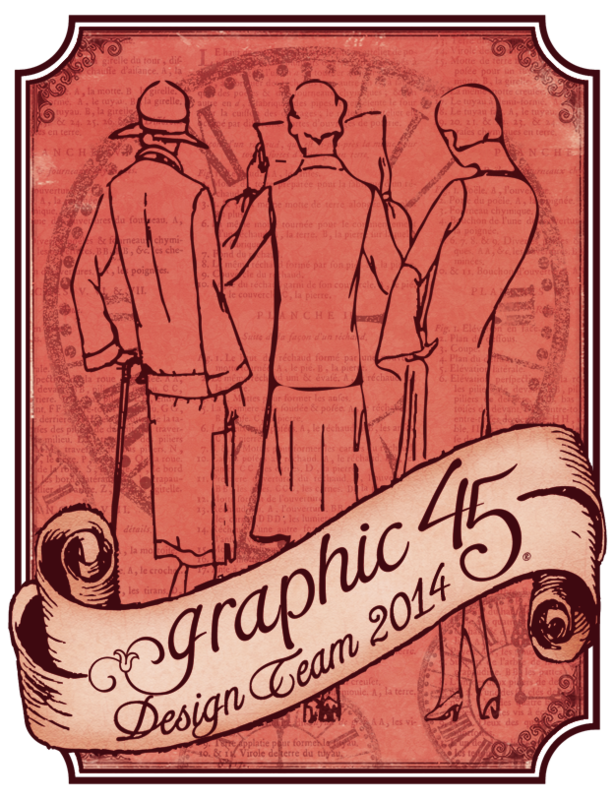 I love the soft colors but still maintaining that classic graphic 45 vintage theme. Share your favorites in the comments section. I look forward to sharing again soon. 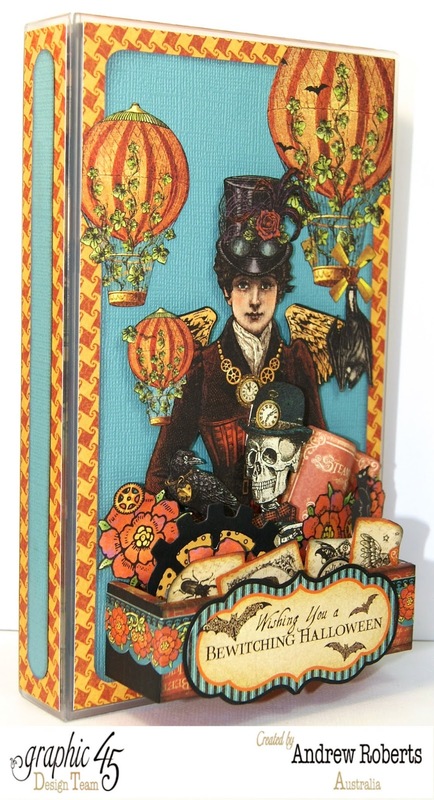 Oh my goodness, this is absolutely stunning, and just exactly something like this, I´ve been looking for. My youngest son is finally after several miscarriages going to be a dad for the first time in an age of 33, and I´ve been looking for something very special to make for them then, when I just saw this on G45´s blog and went to find your blog here, to see, if I could find i and hopefully some more pictures to see how it was made. First I want to say, I´m thrilled about all your amazing creations here, you´re a true wizard with paper, and I just LOVE everything here, but like you I´m also a huge fan of G45´s paper, and I was sooo lucky to find one of the 8 x 8 babypads left in the craftstore here saturday, and grabbed it right away, so now my question for you is, if it´s possible to evt. buy the instructions for this project, so I can make it for my son??? I would be really really happy, if you at least will considder it, as I´m totally in LOVE with this, and I knoow, they would be too, as it´s very special, that it´s finally going to be now, so please please???? And I have already signed up as a follower to your blog, so I can see all the next great peojects you´ll share here and don´t miss out on anything. Have a wonderful day and lots of joy here before Christmas now. Thanks so much for sharing this with us at Craft Hoarders Anonymous as our July Guest! I just love this project. I gave this link on our blog so our readers can come over and see this stunning creation! Hi Andrew... this is positively beautiful. I too love this collection. Sometimes it's really hard for me to use my G45 paper because its so pretty. 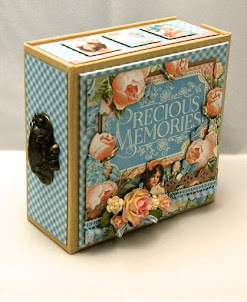 I used this collection to make a baby memory box for a friend... here is my link if you would like to view it: http://toni-burks.blogspot.com/2012/08/little-darlings-baby-tin.html Thank you once again for the inspiration. I am now a follower of yours and looking forward to more inspiration. Oh, Andrew, this is just the most precious altered box. I love all your details...the little bottles of talcum powder, rubber ducky and stack of clean nappies on the box top and the wonderful "built ins" inside the lid. How very clever. Each tag is beautifully constructed and wonderfully beautiful. Thank you so much for sharing this lovely work of art as Guest Designer for Craft Hoarders Anonymous. Wow this is stunning. I so love this style of craft with lots of lovely things to look at. Such a well thought out and beautiful project.